Systems-level avenues to support skill development. Created by the Center for Innovation in Education and the Educational Policy Improvement Center. Authors: Sarah Collins Lench, Erin Fukuda, and Ross Anderson. 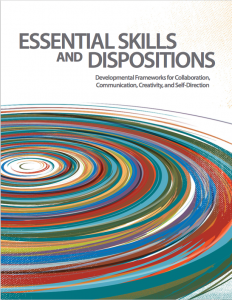 Essential Skills and Dispositions: Developmental Frameworks for Collaboration, Communication, Creativity, and Self-Direction by National Center for Innovation in Education is licensed under a Creative Commons Attribution-NonCommercial-NoDerivatives 4.0 International License.